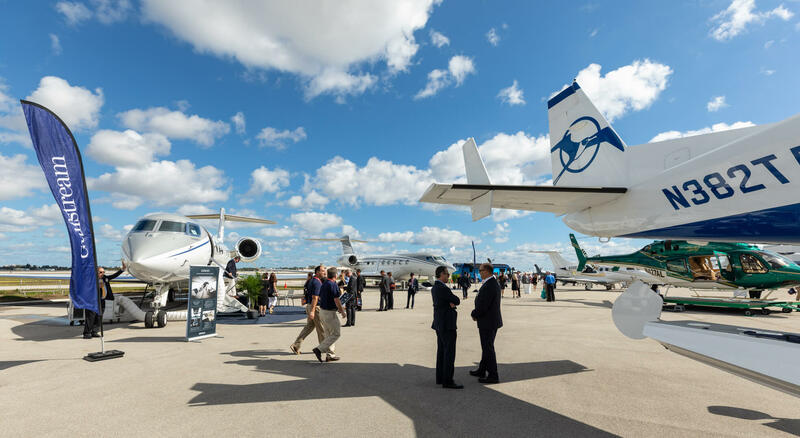 NBAA’s first Regional Forum of 2019, at an Atlantic Aviation hangar at Palm Beach International Airport (PBI), was a resounding success, with a record-breaking number of attendees, a sold-out indoor exhibit hall and a record number of student attendees, as part of a push by the association and regional groups to promote the business aviation industry as one offering numerous career opportunities. More than 150 exhibitors took part in the forum, and 33 aircraft and five ground vehicles were featured on static display. 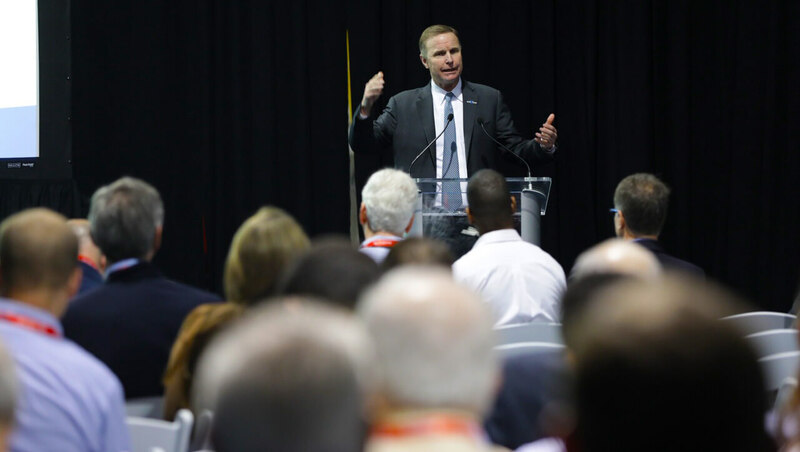 The forum opened with a session featuring NBAA President and CEO Ed Bolen, who thanked attendees for all they did last year in the fight against so-called ATC privatization, and asked them to once again support the industry in its quest to attract and retain qualified professionals. “Business aviation is one of the great industries in this country,” Bolen said, noting it employs more than 1 million people, generates more than $200 billion in economic activity, connects communities and provides humanitarian relief in times of need. Bolen stressed the need for NBAA to work together with regional groups to achieve the goal of growing the workforce, something Jeff Ramsden, president of the South Florida Business Aviation Association agreed with wholeheartedly. The group worked with NBAA to register more than 250 high school and college students to attend the forum, which included an education session specifically focused on introducing them to the industry. Exhibitors routinely say the forums provide an effective venue to meet existing and new customers, and the PBI forum was no exception. The next NBAA Regional Forum takes place March 14 in Houston, TX at William P. Hobby Airport (HOU). Learn more about the forum.